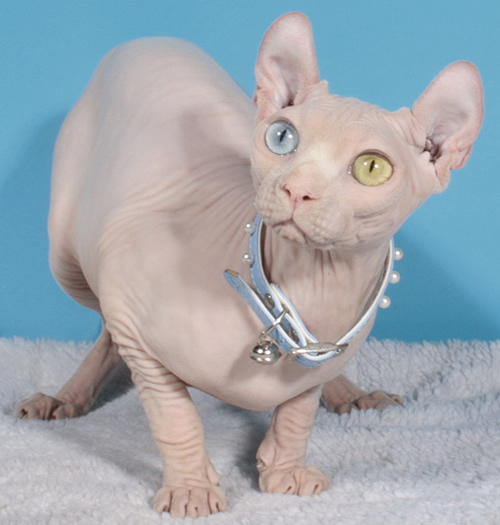 At Baby-Rah sphynx cattery all my sphynx cats, my sphynx kittens get all the necessary vaccinations on a regular basis, are surveyed by a veterinary doctor. Every sphynx has a pedigree, an European International Veterinary passport. 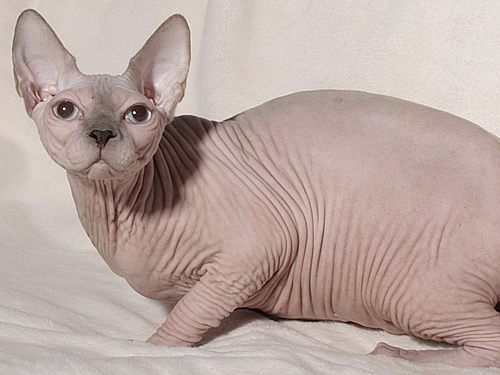 The export sphynx kittens also have implanted microchip. sphynx, elf, bambino cats in my house. color - chocolate mink ( b 32). color - white - gene lilac/odd eyes. color - chocolate ( b). color - lilac ( c). color - white/odd eyed ( W 63). Canadian Sphynx Baby Rah Cattery - female. colour - LILAC POINT (SPH c 33 ). 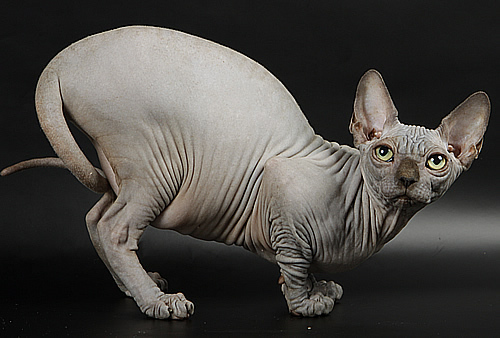 Sphynx catery Baby-Rah suggests the cats amateurs to get acquainted with an amazing breed of cats - sphynx, Canadian Sphynx to be exact. Sphynx cats are often described as hot cats, rubber cats, bald cats, pharaon's cats. All these descriptions suite them very much. 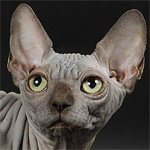 on Baby-Rah site You will find some general information about sphynx cats, see lots of beautiful sphynx kittens raised in sphynx cattery Baby-Rah - kittens sometimes available for sale. 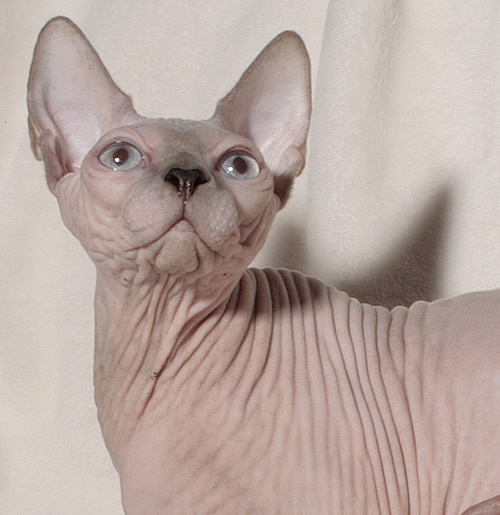 Baby-Rah is a small sphynx breeder that constantly works on sphynx breed improvement. The race is stable but a careful breeder has to pay much attention how to make the breed cats better - to make litters health stronger, mood cheerful, more thick skin, the body and the ears bigger, nose and head shorter - in other words to sphynx kittens offspring be cooler than the sphynx breed is described in the sphynx standard. Yet in other words, Baby-Rah tries to raise the level of sphynx standard higher. 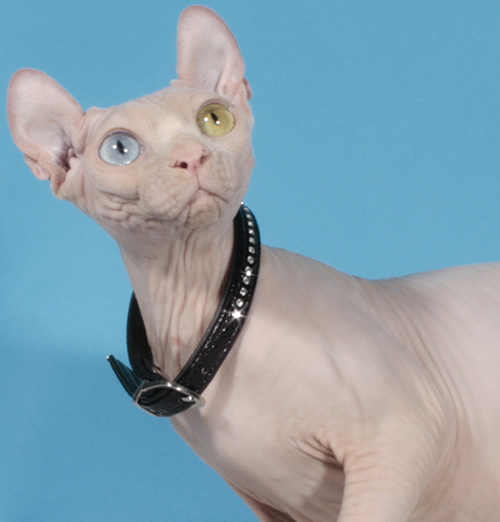 This is why our alumni get high awards at feline shows all over the world - in USA, in Spain, in France, in Italy, in Sweden, in Norway, in Indonesia, in Australia, Israel - the countries the offspring of Baby-Rah sphynx cattery happily lives and breeds. Welcome to sphynx cattery Baby-Rah!